Have you ever thought how wonderful growing your own flowers from bulbs would be? Well now is the time to plant them. I have decided that this year I will indeed attempt to grow some flowers from bulbs. But which ones? There are an endless amount to choose from: Daffodils, Jonquils, Tulips, Ranunculus, Hyacinths, I could go on. One of my favourite bulbs is the Tulip. So beautiful and so many colours to choose from. 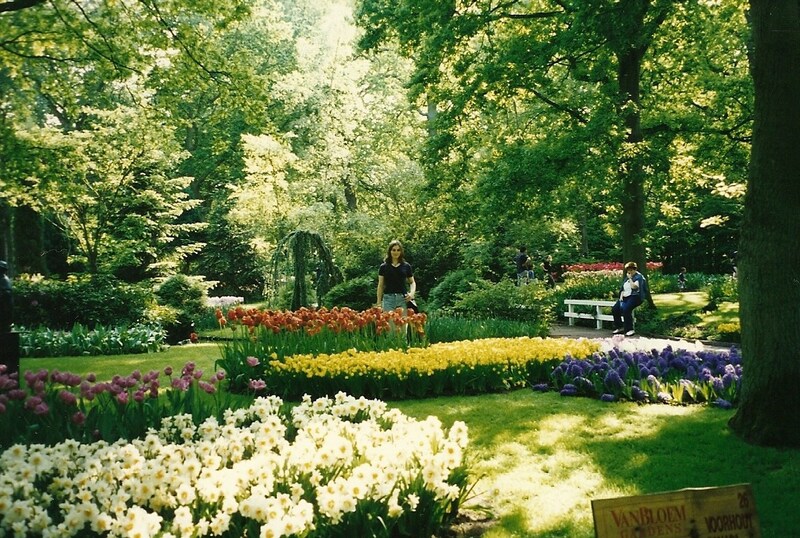 Anyone who has visited Keukenhof in Holland will agree with me when I say mass plantings of tulips can look like a magical carpet of rainbows! I couldn’t believe the range of colours. Black? Wow! 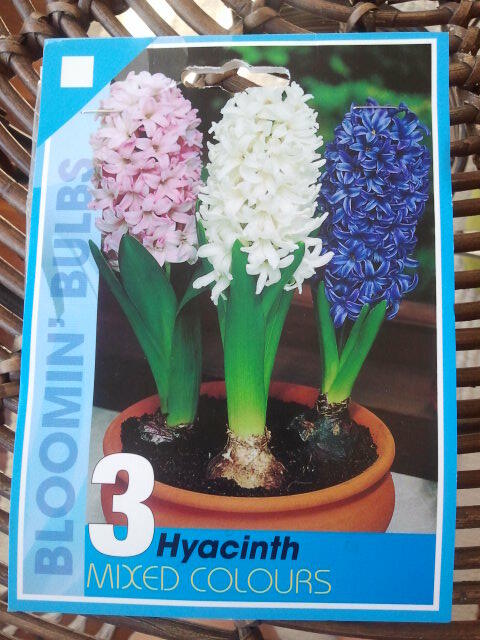 I would like to try growing Tulips and I think I will also try growing Hyacinth. Hyacinth is probably not for everybody, it has a very strong perfume but in the right position in your house you’ll get the scent each time you pass. The flowers of the Hyacinth are a little magical too, standing upright and commanding just a little bit of importance. What’s not to love about that? The colours are cheery and bright, just what we need in winter. So there we have it, it’s written, not only written but announced- globally, I will be growing flowers from bulbs. If you are also interested in trying this for the first time join me in planting some bulbs and share your growing story with me. I’d love to hear about your growing success. Mixed Tulip bulbs. I’m excited to see which colours pop up in spring. 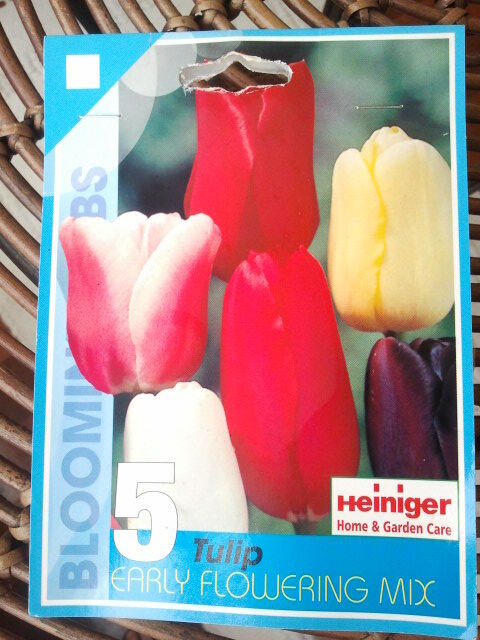 It is recommended that these Tulip bulbs go into the freezer for 4 to 6 weeks before planting. They have taken up residence with the Broad Beans! 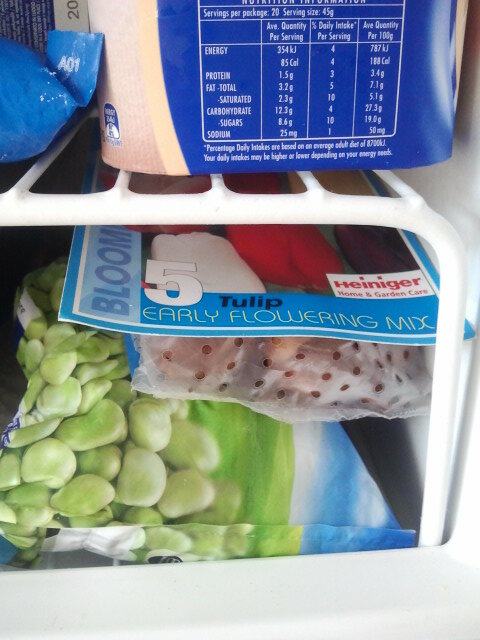 Note: Not all Tulip bulbs require time in the freezer before planting. Read the packet or ask your friendly Horticulturalist for assistant. I purchased at a good time, I will be able to keep my Tulip bulbs in the freezer until the end of April then plant them before the cold of winter starts. Mixed Hyacinths. I can’t wait to see these beauties bursting out of thier bulbs. 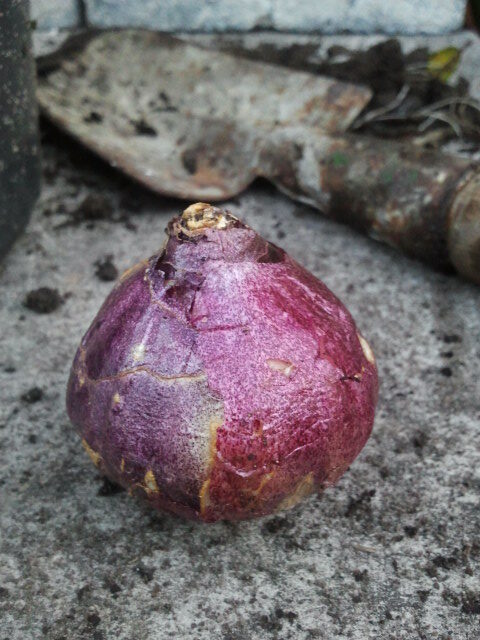 The beautiful Hyacinth bulb with its purple papery covering. 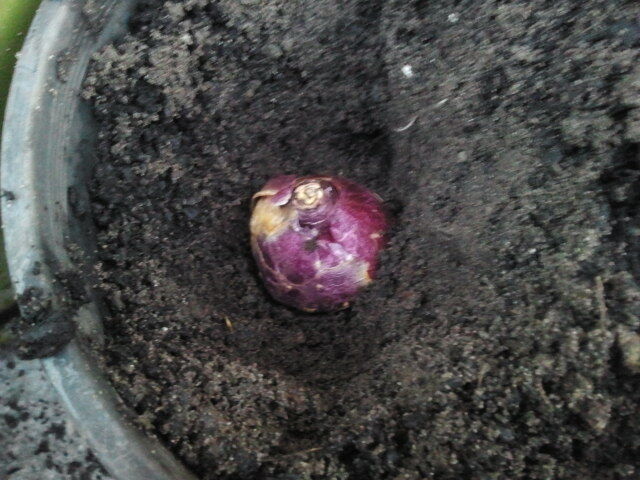 Hyacinth bulb in and ready to do its thing. I’m getting excited. 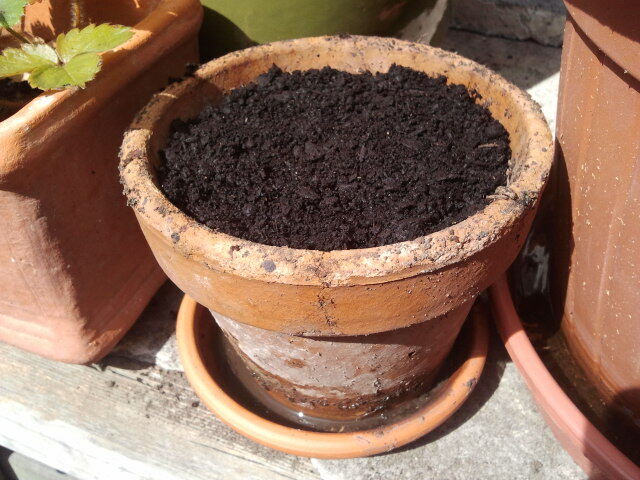 My Hyacinth bulb’s new home for the winter, in full sun with good draining potting mix.